David chance sees messages. They tell him what will happen. One of the messages saved his life, but now they are directing him to take action that could end up costing him his life. Are these messages from the dead? Is it some genetic mutation? Or, could it possibly be God speaking to him? David is just an ordinary guy with a family, but these messages have landed him in the middle of a conspiracy. Will David follow them regardless of the cost? I don’t want to say too much because I don’t want to give the story away! If you enjoy supernatural thrillers, drama, intrigue and action then Messages is right up your alley. In the very first chapter, David begins seeing messages in the words around him. The story takes off from there and continues its fast pace through to the end. There are enough clues to give us a hint of what’s really going on, but enough twists to still keep us guessing. I stayed up late two nights because I was so intrigued by the story that I couldn’t put it down! The main character is the type of “average-Joe” that most of us can identify with. David is not a believer, but the messages that have embroiled him in extraordinary circumstances also lead him to search for answers. The book is as much about his spiritual journey as it is about his quest to unravel a terrorist plot. Messages fits into the “speculative fiction” genre, as does John’s first novel, VRIN: ten mortal gods. Even so, it will appeal to those who enjoy dramatic thrillers as well. Messages is a solid second novel for John, and we’ll definitely be watching for his third! If you missed John’s first book, VRIN: ten mortal gods, then you can read my review here. Both of his novels are available through Amazon in Kindle and paperback formats. Click on the book titles to go the Kindle edition pages and start reading immediately! To keep up with what John is writing, visit his blog. This review was initially published at Christian Fiction Book Reviews. For more book reviews and author interviews visit www.christianfictionbookreviews.com. 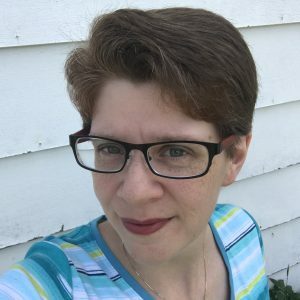 I also interviewed the author and will be posting the interview tomorrow on my blog, but if you just can’t wait then you can read it at http://www.christianfictionbookreviews.com.